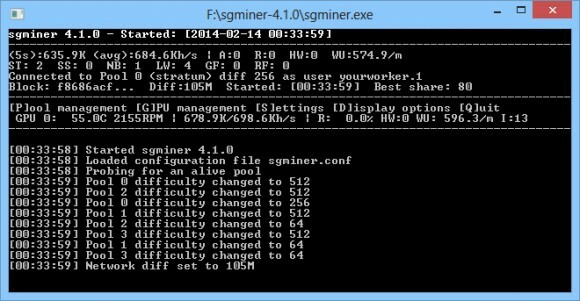 Sgminer 4.1.0 is another Scrypt GPU miner that is based off the latest cgminer version 3.7.2 that had support for Scrypt GPU mining as all of the later versions of the cgminer support only ASIC mining hardware for SHA-256 and Bitcoin. 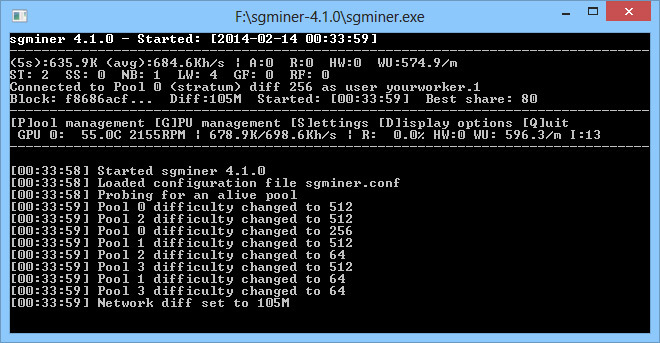 Sgminer 4.1.0 is very similar to cgminer 3.7.2, though there are some interface changes and also there are some extra features such as multiple experimental kernels to play with as well as some of the features found in the cgminer 3.7.3 kalroth edition such as xintensity and rawintensity modes besides the standard intensity mode form cgminer. If you are interested in trying out something different you might want to play with sgminer as it has some other useful features that are not available in the standard cgminer, the download link for the windows version is available below.